Would আপনি rather be in Slytherin অথবা Gryffindor? আপনি would like to be in slytherin because..
অনুরাগী চয়ন: আপনি are evil,cunning,ambitious e.t.c? Wizarding Duel: Lucius Malfoy vs. Severus Snape. Who wins? Why,and what spells/curses do আপনি think they used? if আপনি were in slytherin would আপনি be good অথবা evil? There’s a house competition going on! Will আপনি help? My ব্যবহারকারী নাম is StrikeQuill30134...if আপনি havn't added me please add me. I have created this ফোরাম so that we can talk openly as ShadowPatronus17430 suggested. আপনি all will have to make an account on this website...my ব্যবহারকারী নাম here is hotfudgebrownie and please add me here as well, and please post your usernames of পটারমোর as well as fanpop. A handy-dandy Wikihow প্রবন্ধ on how to make a horcrux, for all আপনি aspiring Dark witches and wizards out there! 1. Become an extremely powerful witch অথবা wizard. This will take years of study and sacrifice which lie beyond the scope of a WikiHow article. As a general guide আপনি should not attempt to create a horcrux until আপনি can cast non-verbal killing curses. Bellatrix - “Bella” is a construct of the word “bellum” meaning “war” and “trix” refers to “a woman in power.” Bellatrix is therefore known as the “Female Warrior” and is also the pale yellow তারকা indicating the left shoulder of the constellation Orion, the Great Hunter. 1.They প্রণয় Narnia just because of the Aslan. 4. They just never shut their mouths up about being ব্রেভ ,good ,daring ,blah and then blah and blah. - আপনি eat your green smarties last. - আপনি sympathize with Voldemort. - Your real life নীতিবাণী is "Toujours Pur". - আপনি always pick the green boardgame piece. - Your পছন্দ curse is either : Avada Kedavra, Crucio, Sectumsempra, Levicorpus, অথবা Imperio. - আপনি secretly admire Dolores Umbridge. - আপনি would name your child Bellatrix, Tom, Lucius, Draco অথবা Alecto. a pop quiz question যুক্ত হয়ে ছিল: Andromeda was disowned দ্বারা Black family because..
what will happen to আপনি if আপনি break the unbreakable vow? 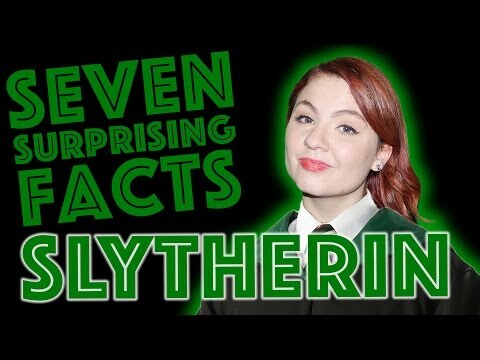 What makes আপনি a slytherin? My school had it's first Harry Potter অনুরাগী club meeting ever.